One of the four basic types of narrative conflicts is man versus himself (the others being man versus society, nature, or man). This type of conflict usually involves some type of internal struggle, where readers follow the character's journey of self-realization, sometimes arriving at a realization of their own. As the tragedy of the honey bee continues to unfold on the international stage, we have a story that takes this conflict to a new level. It seems the industrial-agricultural complex has led us into an epic man versus himself battle. The colony collapse disorder that has caused mass die-offs of honey bees has been pinned most recently on neonicotinoid insecticides, which are often used to coat corn seeds. (Somewhat surprisingly, this finding jumped from the usual confines of natural news sites to the mainstream press last month.) 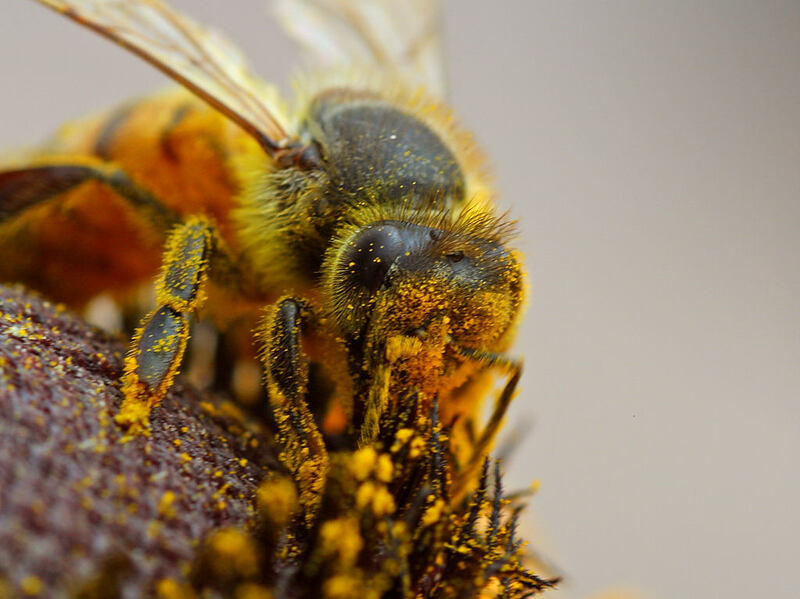 Monsanto, one of the leading culprits in the bee die off, has recently acquired a leading bee research firm, Beeologics, dedicated to "restoring bee health and protecting the future of insect pollination." While some optimists could take this as a gesture of goodwill, many others see it as a way for Monsanto to control the output of information about bee health. To put a sliver of a silver lining on this toxic cloud, Poland, finding a correlation between Monsanto's genetically modified corn and bee die-offs, has taken steps to ban the seed baron. Now, let's take our story back about 2.5 million years ago, when humanoids' brains got bigger. Attributing this growth to diet -- mainly meat and tubers -- has been a mainstay of evolutionary theories, but recently, a new possible factor was introduced: the consumption of honey. Through her field work with the Hazda people of east Africa, anthropologist Alyssa Crittenden has proposed that nutrient-dense honey may have contributed to feeding our brains all those years ago. In a fascinating example of people working in harmony with nature, Crittenden details how the Hazda people follow the trail of honeyguide birds to bee hives, communicating back and forth to each other along the way. Learning about the importance of honey to the Hazda people led to her thinking about honey in evolution. With no fossil evidence, she points out, honey's place in the humanoid's diet may have been overlooked. If Crittenden's theory is correct, one could argue that our current relationship to the honey bee has reached an all-time low, and our metaphorical internal struggle has reached new heights. To put it simply, while ignoring the implications of the bee die-offs to our food supply, we are helping to destroy agents of our own evolution. I've noticed people talking about bees lately, but this article makes me want to know more about what's going on. Thanks!